The village of Rhosddraig is an ordinary Welsh village whose inhabitants appear to lead very ordinary lives, but all this changes when a local dog walker discovers the remains of a human body, although it requires the highest level of forensic expertise to discover even the gender of the smashed and charred remains. 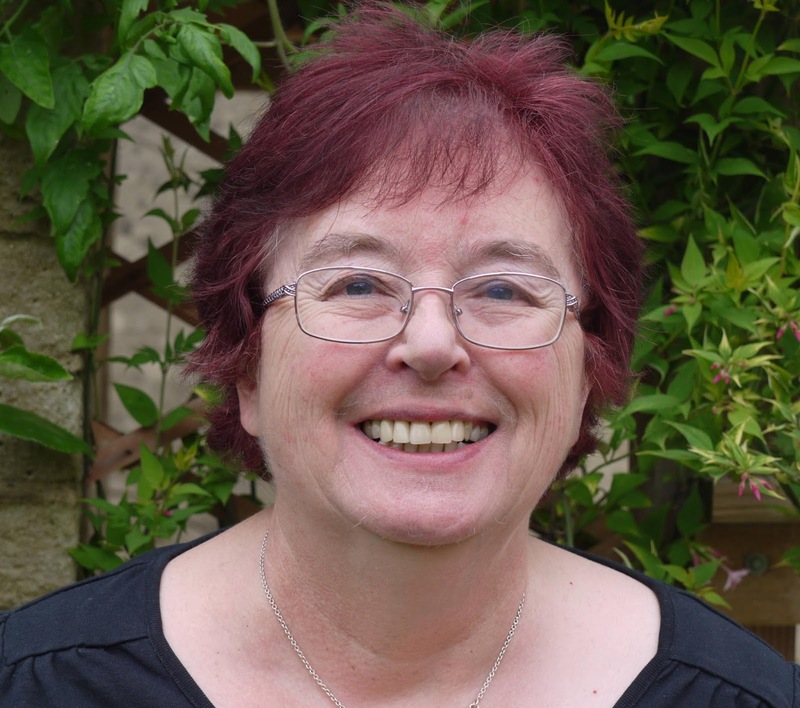 DI Evan Glover is within a few days of retirement and had felt glad that he was not going to leave with any major unsolved cases to haunt him. This case smashes his contentment about retiring and he is determined to find out the identity of the dead man, how he came by his death, and who attempted to obliterate his body. The story is told in multiple viewpoints, but attention is centred on the village pub, which is owned by the elderly and cantankerous Nan, a woman who is now ailing but is still determined to know everything that goes on in the village and use it to wield power. The pub is run by Nan’s daughter, Helen, who is lonely, trapped and despairing, her life is only lightened by her teenage daughter, Sadie. While Nan and Helen have had their lives crippled by marrying men that they grew to loathe, Sadie is eager to marry Aled, a boy who is in the same class at school and who works part-time as a barman in the pub. Sadie is obsessed with Aled and bitterly resentful of any friends or interests that divert his attention from her. By telling the story in the viewpoints of both the villagers, predominantly Nan, Helen and Sadie, and the police detectives, the author creates a panoramic but strangely claustrophobic view of the crime and its consequences. The tension starts high and continues to build up to an intense but psychologically satisfying conclusion. 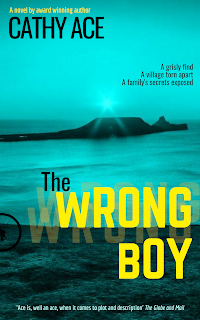 Cathy Ace is superb at getting to the heart of her characters, especially when they are the inhabitants of a Welsh village, and in The Wrong Boy she surpasses herself in her characterisation and detailed observations. Evan Glover and his psychologist wife, Betty, are likeable protagonists and the plot is clever, with subtle clues and a psychologically credible conclusion. 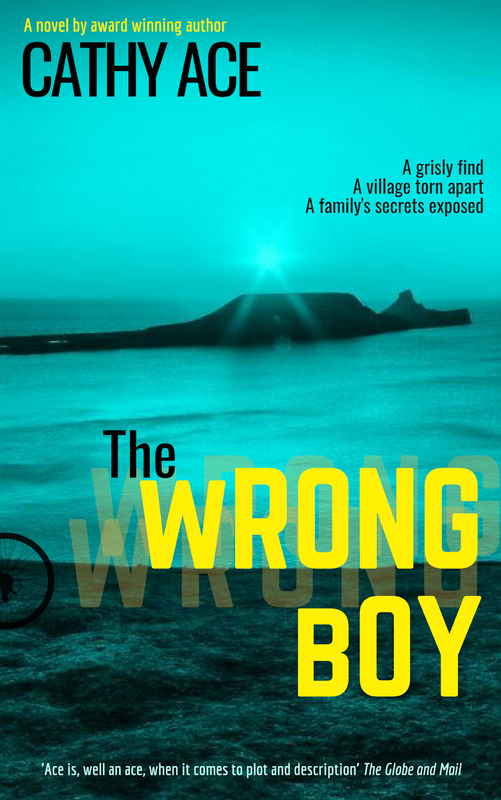 The Wrong Boy is very different to Cathy Ace’s popular cosy crime series featuring the four women of the WISE detective agency, which is also set in Wales, but if you like your mysteries dark and down-to-earth, with a strong psychological foundation, I would recommend this book. Thanks ever so much for posting this here, Lizzie, and to Carol for taking the time to both read, and write so thoughtfully about, my latest book.